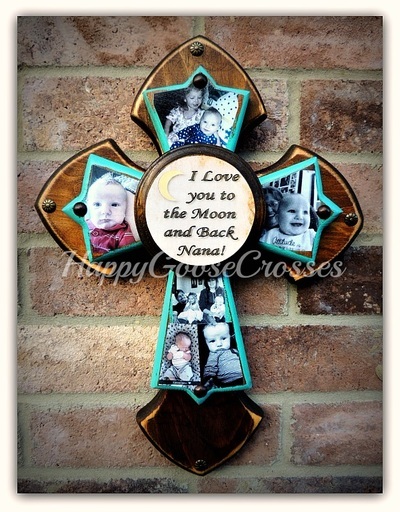 Keep in touch with Happy Goose! 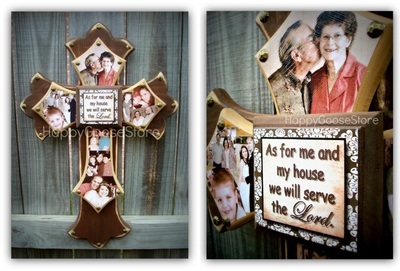 Visit us on facebook for updates and specials! 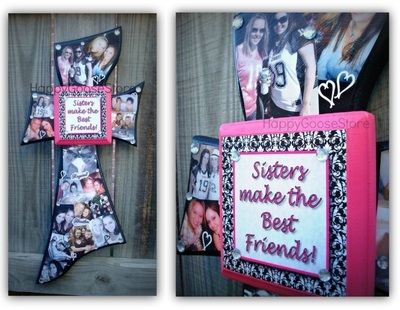 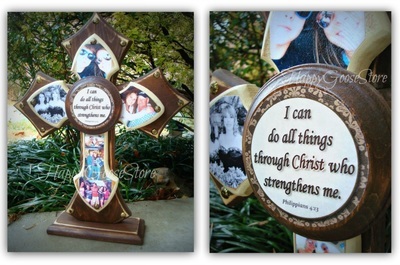 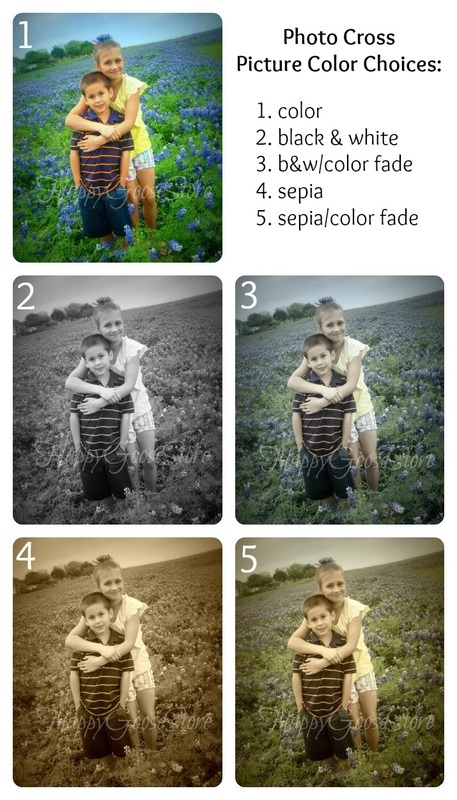 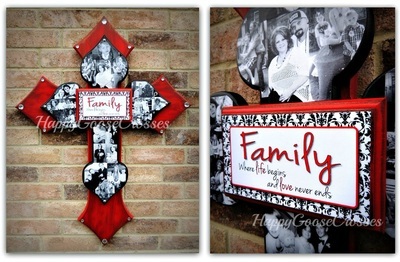 Your photos can be added to any size cross to create a special, one-of-a-kind decor piece! 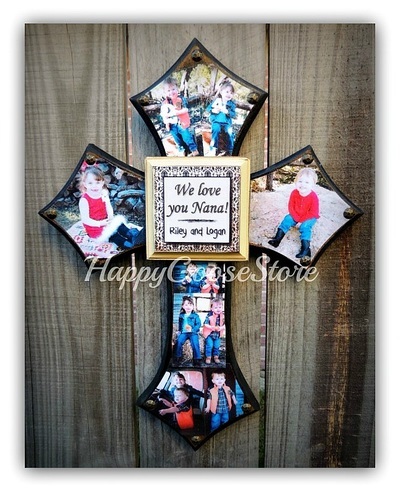 These make great gifts for birthdays, graduations, Christmas, etc. 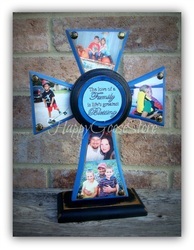 We also create "Remembrance" Crosses, to honor loved ones that have passed. 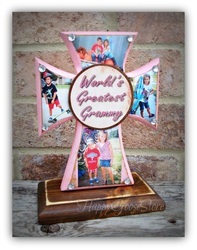 Crosses can be created in any color, design, and theme. 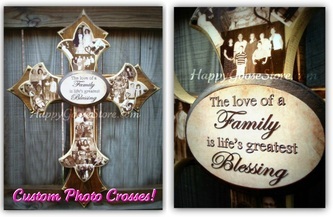 Contact us for details or to place an order.